Construction is nearing completion at Spitzer Enterprises' 420 Kent, the three-tower, 857-unit residential development on the South Williamsburg waterfront. 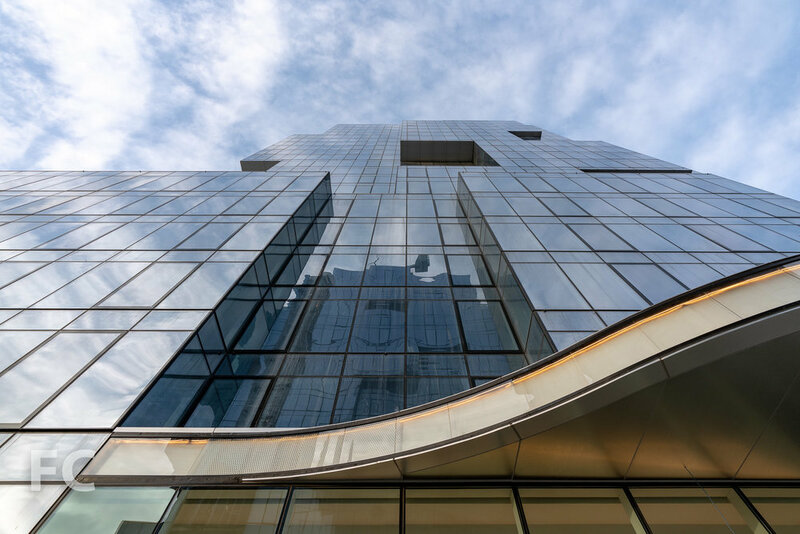 Designed by ODA New York, the massing for each of the 22-story towers breaks down a simple rectangular extrusion into a collection of shifting boxes. Along with adding visual interest, the massing strategy also increases the number of corner units in each tower and adds outdoor terraces atop the shifting boxes. Southwest corner from the East River. 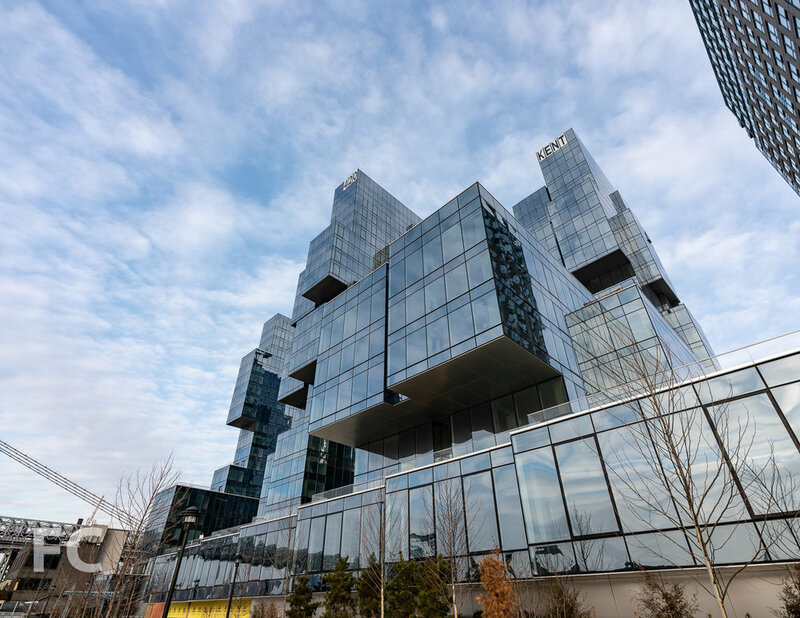 Each of the three towers are clad in floor-to-ceiling glass to allow for expansive apartment views of the Manhattan skyline, Brooklyn, and the nearby Williamsburg Bridge. When completed, the project will offer a range of amenities including a sunken courtyard, private park, two rooftop pools, a community garden, and individual roof terraces. While construction wraps up on the towers, 400 feet of public waterfront access has already opened to the public. Southwest corner from the waterfront park. Architect: ODA New York; Developer: Spitzer Enterprises; Program: Residential; Location: Williamsburg, Brooklyn, NY; Completion: 2019.